Loretta Alphonsine Sablich (1901-1992) was born at Biloxi on August 17, 1901. On April 7, 1926, she married Nosery Mark Abraham (1898-1969), the son of William Abraham (1863-1941) and Virginia Abraham (b. 1873), both immigrants from Syria. (The Daily Herald, April 8, 1926, p.
The Daily Herald, 50th Anniversary Souvenir, Golden Jubilee Number, Biographical and Historical 1884-1934, "Nosery M. Abraham", (The Daily Herald: Gulfport-Biloxi, Mississippi-1934). The Daily Herald, ‘Sablich-Jalanovich[sic]’, June 6, 1918. The Daily Herald, ‘Foreigners are made Citizens’, August 21, 1917. The Daily Herald, ‘Sablich-Cannett [sic]’, December 10, 1920. The Daily Herald, ‘Expects more oysters’, October 14, 1933. 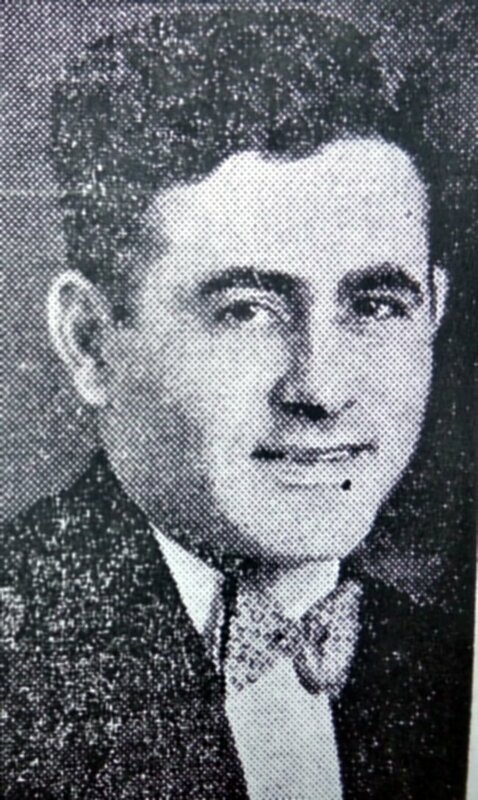 The Daily Herald, ‘Julius Sablich dies at Biloxi’, April 30, 1947. The Daily Herald, ‘Mrs. Alphonsine Sablich dies at Biloxi’, , 1960. The New Orleans Item, ‘Biloxi boy [Joseph Sablich] dies from gunshot wound Sunday’, November 30, 1922. The Sun Herald, ‘Mrs. Irma Sablich’, November 4, 1987. The Sun Herald,‘N. Mark Abraham’,September 4, 2011.